The other day I had the pleasure of speaking with Corina Marti, the protean multi-instrumentalist, scholar, and faculty member of the Schola Cantorum Basiliensis. Corina will be here in New York from Basel to perform her original program of French medieval music with Salon/Sanctuary Concerts. The performance will be part of “France à Cordes,” the latest mini-series in Salon/Sanctuary’s historical-musical explorations, this one dedicated to the echoes of politics in 500 years of French music. The concert will be on Sunday, April 8th at 4pm at L’Église Française du Saint Esprit at 111 E. 60th St.
What follows is a condensed version of our most interesting conversation about things French, medieval, historical, and musical. 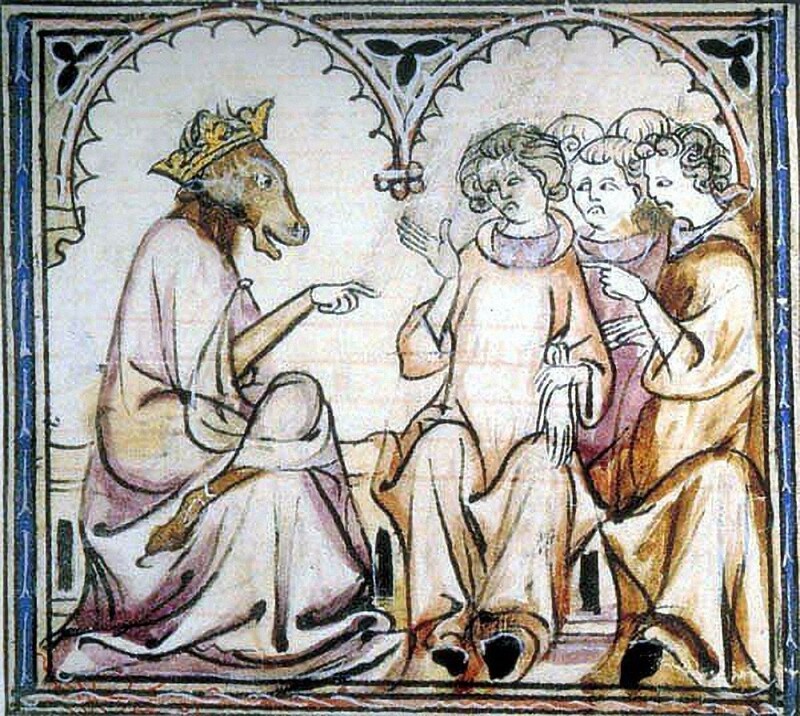 CP: What drew you originally to medieval music? Were you trained in a more conventional genre first or did you dive right in to medieval repertoire from the beginning? CM: I started on piano and recorder when I was a small child, but I always loved baroque music, and when I was a teenager started to fall in love with Renaissance music (by that time I of course already played the harpsichord) and then medieval music. Medieval has always been my biggest love. It is the most fascinating repertoire for me. CP: What is different about French music of this time, than, let’s say, Italian music? What attracts you to it? CM: In French music, there is a big difference in how the melodic structure works, the notation is different. But I do include some Italian pieces in my programme too—same theme but different musical language. I don’t have a preference for French or Italian or English music, they have all their specific charms, and one thing that is really important to me of course, is the idea of personal style within this period of music. We do have a lot of pieces where we don’t know who the composer was, but we do have names as Philippe de Vitry, Machaut, Landini, and there I would already talk about a “personalstil” personal style. So not only a French or Italian or English style, but a very personal one. CP: Can you tell us a little about this work that you are performing, the “Roman de Fauvel”? Not many people are familiar with it. What exactly is it? CM: The “Roman de Fauvel” is a 14th century French verse romance in the form of an allegory, attributed to Gervais du Bus. The original is divided into two books. The romances features a fallow colored horse that escapes his barn and manages to rise to prominence at the French court. It’s very satirical, and I am looking forward to the concert, when I can talk more about the story of “Fauvel” and the connections to the “Roman de la Rose” and others sources. CP: Can you tell us about your approach to presenting this work, which involves many performers, as a performance by one person? Did you make changes to the work? Are you performing just selections? CM: In fact, my programme is called “Mundus Inversus” and I am not performing the actual, complete “Roman de Fauvel.” I have taken a couple of pieces from that source, [Fauvel]—pieces that are very special to me, and in my opinion possible to perform on one instrument. 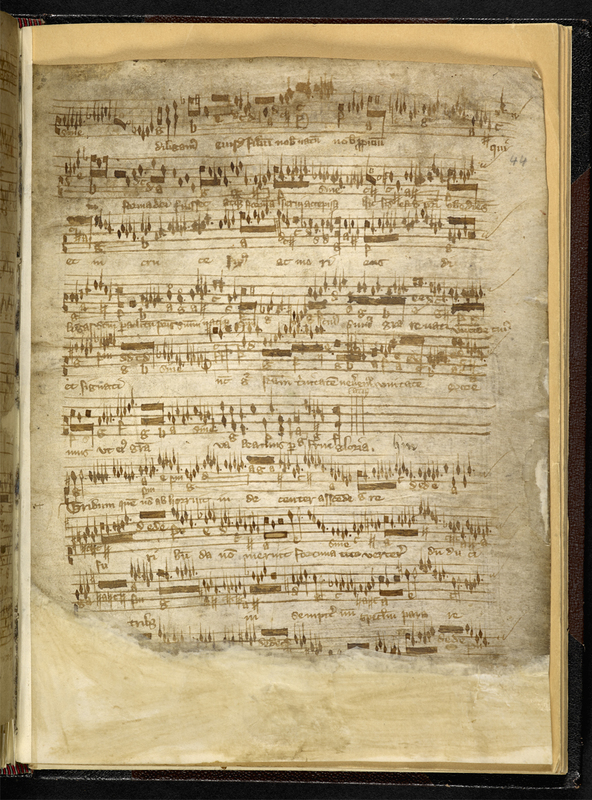 I did go as far as to write my own intabulation on a Vitry motet, because we do find two of his motets in an English 14th century collection called the “Robertsbridge Codex,” so it seemed to the normal thing to do. I’ll play, for example, one motet from the “Roman de Fauvel” in my own intabulation and one of the motets from the “Robertsbridge Codex.” If anything, this shows that nothing ever happens only in one place of the world. Music, musicians, instruments, books have always traveled. Some other pieces of the “Fauvel” will provide a through-line for the program, showing different emotions and moments in the story. My main focus is the “Mundus Inversus” and pieces that are composed to this theme. CP: The instruments you play are unfamiliar to most modern listeners, even ones who love early music. Tell us more about the double flute and clavisymbalum. How is it different than a harpsichord? CM: The clavisymbalum is actually nothing other then a medieval harpsichord. It has no dampers, so the sound stays longer. 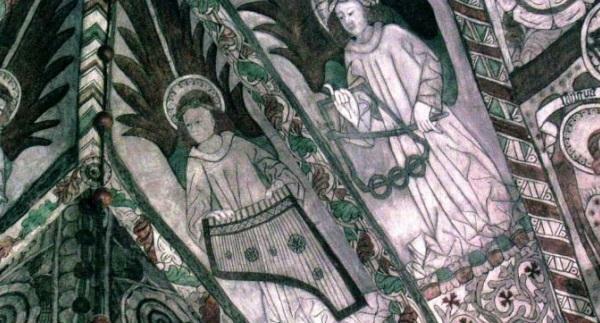 Paulus Paulirinus de Praga (ca 1413-1474) writes about the clavisymbalum, that it has a very sweet sound and sounds like many, many silver bells together. The recorders are modeled after those in medieval paintings, as well as the double flute. 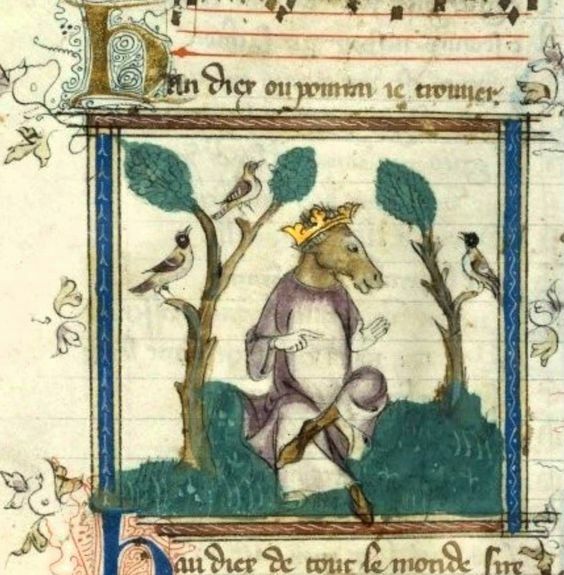 CP: Why is it important for people to hear and know about the “Roman de Fauvel” today? It was composed a long time ago. Do you think it has any kind of message or theme that would resonate with modern audiences? Does it have a lesson for us? CP: Thank you so much for taking the time to speak with me today and sharing all these fascinating insights. I am really looking forward to hearing your program! CM: Thank you! It was a pleasure! Tickets can be reserved online at http://www.salonsanctuary.org or by calling 1-888-718-4253.